ljcfyi: $14 Pet Adoptions for Valentine's Day! 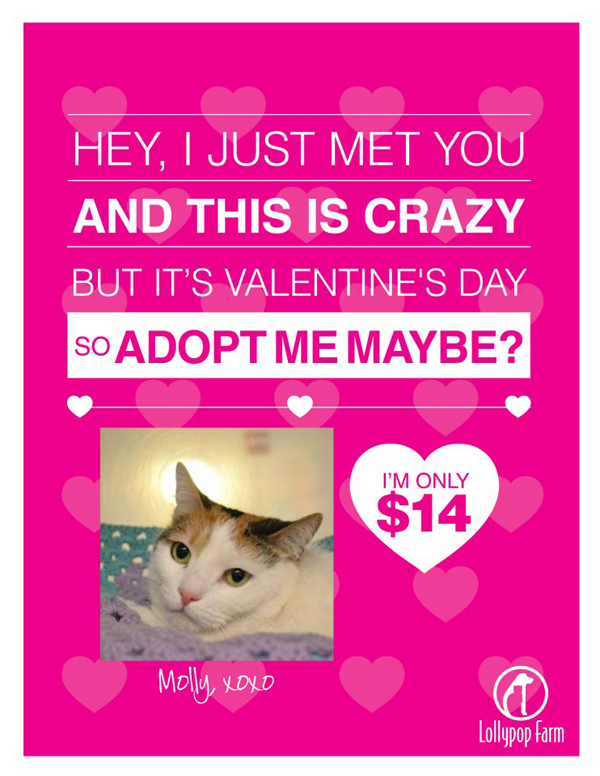 $14 Pet Adoptions for Valentine's Day! 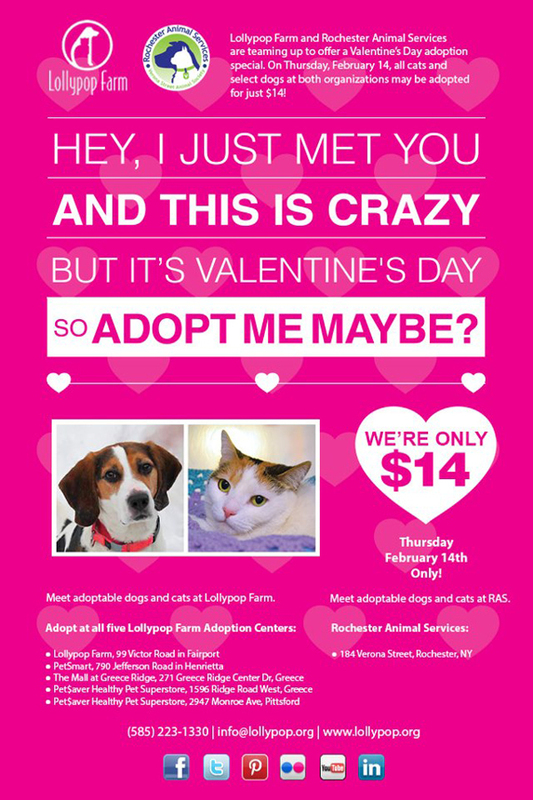 Both Rochester Animal Services and Lollypop Farm are offering $14 adoptions on all cats and select dogs for Valentine's Day! Meet Dede, 1 year old Female Terrier Pit Bull/Mix. Dede is a really smart gentle girl who would love to find a forever family of her own. She knows sit and appears house-trained. Come into meet this quiet and sweet girl, you are sure to fall in love. Come in and meet her at the Rochester Animal Services Center at 184 Verona Street on Valentine's Day! Molly here wants to remind you we’re going crazy all day on Valentine's Day! During the "Adopt Me Maybe?" adoption event on Thursday, February 14, all cats and select dogs at all five of our locations may be adopted for just $14!